Install the drivers if you are using Windows: http://smoothieware.org/windows-drivers. Linux and Mac install automatically. Plug your board into the USB port and check if it's detected. You can connect to the board on it's COM port using a Gcode host such as Pronterface or Repetier-Host. Solder connectors to your Smoothieboard so that the existing connectors for the RAMBo can be reused. Order the Smoothieboard with the connections unsoldered so you don't have to make adapters like I did. Follow the same layout as the photo. Plug in the components into the Smoothieboard while it's powered OFF. There are three power connectors that must be connected. If you are using an ATX power supply, you probably already have three yellow and three black wires connected to the RAMBo. acceleration                                 3000             # Acceleration in mm/second/second. temperature_control.hotend.enable            true             # Whether to activate this ( "hotend" ) module at all. #temperature_control.hotend.max_pwm          64               # max pwm, 64 is a good value if driving a 12v resistor with 24v. #temperature_control.hotend2.enable            true             # Whether to activate this ( "hotend" ) module at all. #temperature_control.hotend2.max_pwm          64               # max pwm, 64 is a good value if driving a 12v resistor with 24v. zprobe.probe_pin                             1.28!^          # pin probe is attached to if NC remove the ! 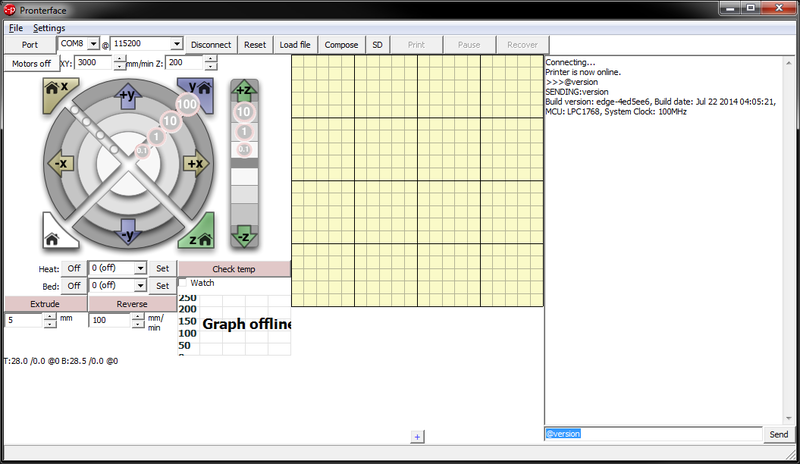 # Example of a custom menu entry, which will show up in the Custom entry. 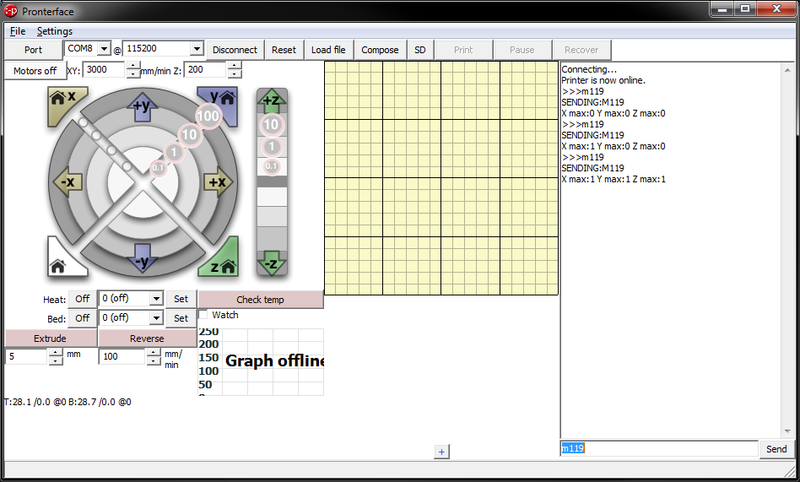 In Pronterface, you can reset the board by sending the "@reset" gcode. Disconnect before the board reboots. Then reconnect once the board has rebooted. Rebooting causes the "config" file on the SD card to be loaded. Check your end-stops by using M119. Trigger one end-stop at a time, and enter the M119 gcode. I'll be doing this soon and intend to use the smoothie connectors instead of making adapters. I'll post any tips and tricks that I find along the way to help others going down this path. I spoke about doing an Azteeg X5 mount a while back, and here it is! X5 is the Azteeg. Smoothie calls their boards 3X, 4X, 5X based on how many drivers are populated. DId you have any issues with hotend temp? I used the Semitec in config file but hotend is still 20C colder than the Rambo. Are there any guides like this that are newb friendly? I understand the basics of upgrading but I still have a lot of questions. I'm thinking of getting a smoothieboard but the main thing holding me back is I'm not sure how to install it. 1) Does the LCD work with the smoothieboard as is or do you need a daughterboard like the RAMBo? 2) The instructions have one of the power ins as three wires twisted together. Is this what you plug into the big mosfet power in? 3) On the software side is there anything other than using that config file (tweaked to my machine) that I need to do? I'm still not 100% sure what a repietier host is. I'm using a mattercontrol tablet for slicing and printing if that helps. 4) If I never plan on running more than 1 extruder would I be better off just going with the Azteeg 5x? A lot of the answers are on the smoothie wiki. You can use your current LCD controller, but you need some extra stuff. The Wiki has more info on this. 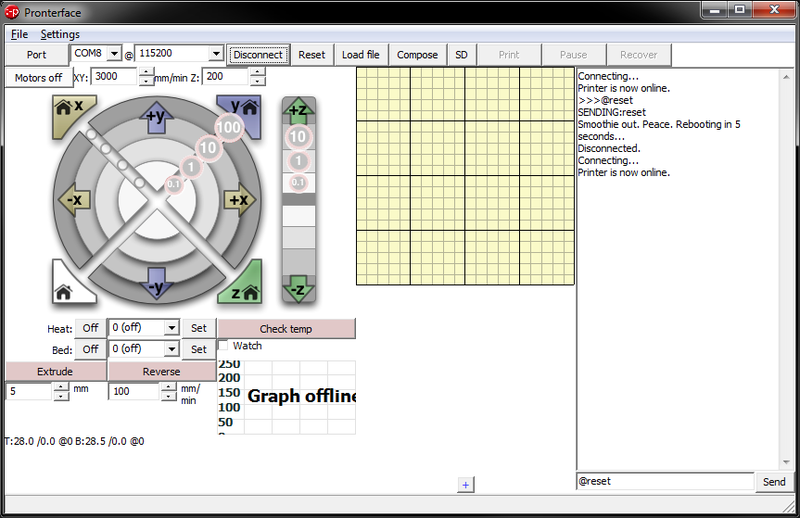 Repetier Host is a host application that runs on a computer. It just connects to the printer and let's you control it. Pronterface, Mattercontrol (tablet or application), Cura, or any other host application can do it too. Updating the firmware is simple, just put the latest .bin on the SD card and restart the board. Are you putting the pics inline? They seem to get cut off(before you say it I am not in mobile mode!). Can you add them as attachments? I am debating making the smoothie plunge here too. Actually I just changed the board style from prosilver to metroblue. Pics getting cut off solved. Maybe its really a theme problem with the forum software. Sorry to resurrect, but is there a "preferred" host to use? Is Repetier the most common? Last edited by ZakRabbit on Wed Jul 15, 2015 6:46 pm, edited 1 time in total. The "preferred" host in this neck of the woods is MatterControl - you can download the un-branded version straight from the MatterHackers website. (http://www.matterhackers.com). It's open source unlike Repetier-Host and is VERY well supported as well as cross platform. Just curious because 106.67 would be correct for a 15 tooth Timing Pulley. But 80.00 calculates for a 20 tooth Timing Pulley. Look like the following for the same machine based on the SeeMeCNC manual? Using the stock EZStruder? I understand this is a starting "reference" point in the manual. Am I missing something here as to why they are all set to 106.67 ?!? Thanking everyone in advance for their insight and help with this. The Rostock came with a different pulley back in the day, although now I believe all ship with 20 teeth. 80 is correct for a 200 step motor with a 20 tooth pulley. It's just that I will be setting up a Smoothieboard and have been reading all that I can about the conversion from a RAMBo. Thank you for clearing that up for me! If i had one suggestion running the Smoothieboard, I would suggest you hard-wire the peek fan to a constant 12v source. I've had issues with the "at temp" starting of the fan correctly. I'll try some experimenting with the "switch" command, but I'll probably go with what you suggest and wire it directly to a 12v rail from the Power Supply. Should I install the 5v DC to DC Switching Regulator or would a 5v supply of power from the ATX be just the same (or better)? Will be using a Reprap Full GLCD (if I can find one... UberClock is sold out and he hasn't replied to my emails as of yet). Also, going back above, I'll set the steppers to 80 not 106.67 but for the extruder, should it be set to 80 as well, or is that where you tweak the amount of filament (100mm test) that is being pushed through? Does it get set to 80 as well? 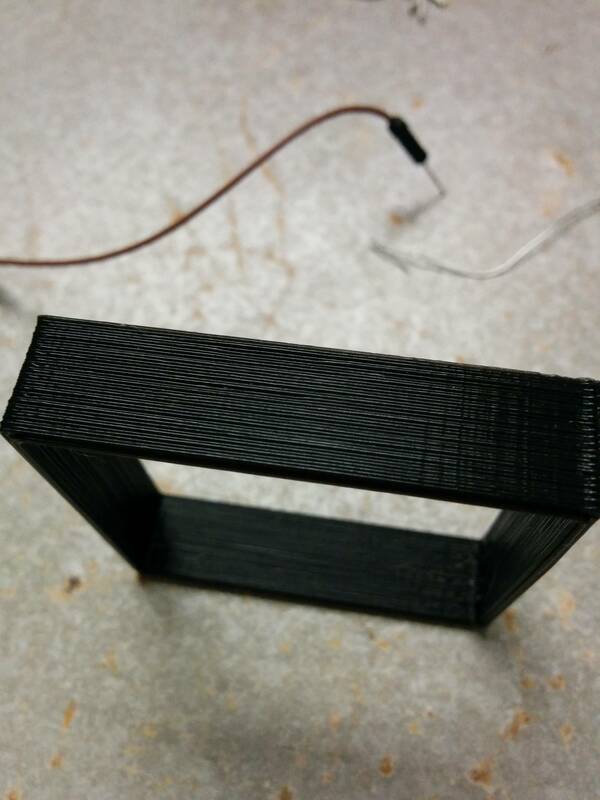 If so, where do you adjust the filament extrusion on the Smoothieboard? Or is that it? AEK wrote: I'll try some experimenting with the "switch" command, but I'll probably go with what you suggest and wire it directly to a 12v rail from the Power Supply. Thanks, I'll give that some thought! 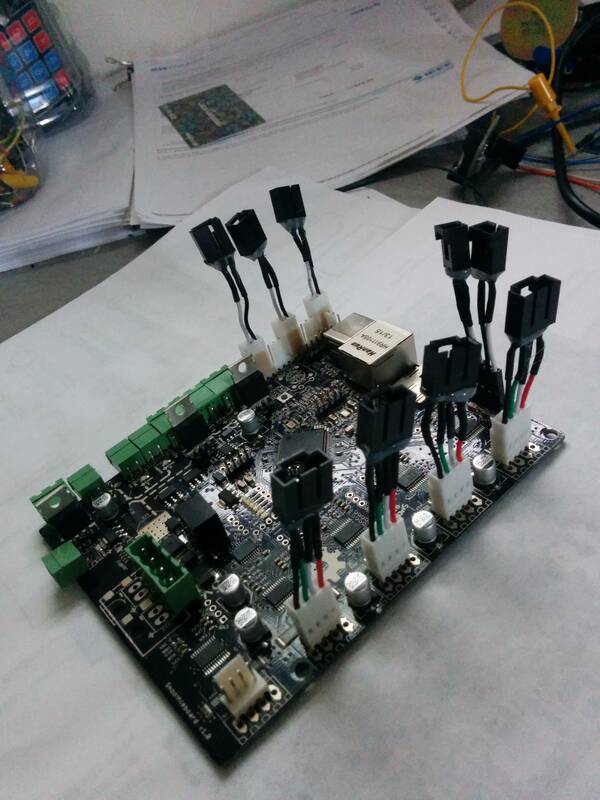 Are you installing the VBB regulator on the Smoothieboard & the GLCD Shield or just on the Smoothieboard? AEK wrote: Thanks, I'll give that some thought! I installed the 1a regulator but still use the +5v on the VBB. As for the extruder, I started with the pre-built config and adjusted the extruder_steps_per_mm to make 100mm exactly. 90.90 for mine with the stock stepper. I bought two of them in preparation to install one on each. I think someone pointed out that the latest adapters have one installed on the pcb already, I'm not sure. The GLCD I have is the larger, full graphic unit. I installed the regulator on the smoothieboard only, not the GLCD Shield. It was redundant and not needed. The GLCD (Full Graphic Smart LCD Controller) with 1a regulator will work off the single +12v VBB, or the +5v VBB. You can also power the GLCD using just a USB 3.0 port. 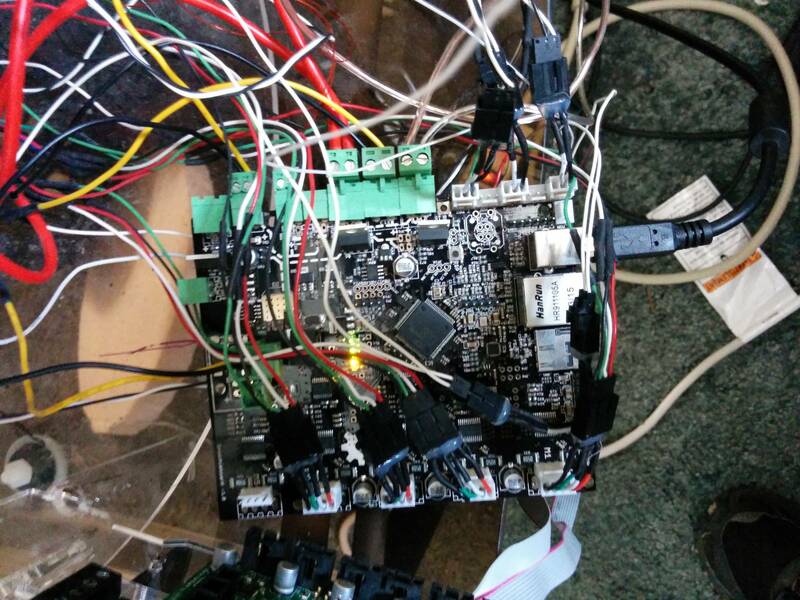 KAS wrote: I installed the regulator on the smoothieboard only, not the GLCD Shield. It was redundant and not needed. The GLCD (Full Graphic Smart LCD Controller) with 1a regulator will work off the single +12v VBB, or the +5v VBB. You can also power the GLCD using just a USB 3.0 port. The reason I'm installing the regulator is so that the machine will self power from the power supplies and any usb cable is for communication only. I think we have a break in the communication somewhere. You do not need two regulators on a smoothieboard for the GLCD to work. You only need one. As for using USB for communication only, You'll find out that it wont work like that. For example, when you have the power supply switched on and connected to the USB at the same time. If the Head was crashing off the plate and you shut the power supply off at the switch. Then turn it back on thinking everything is fine. You'll find that the stepper re-engage right away and keep crashing off the plate. The connected USB provides enough power to keep the smoothieboard running and processing data like it never missed a beat. You have to remove the USB and turn the power supply off to actually shutdown the controller. That's the one thing I don't like about the USB connection. 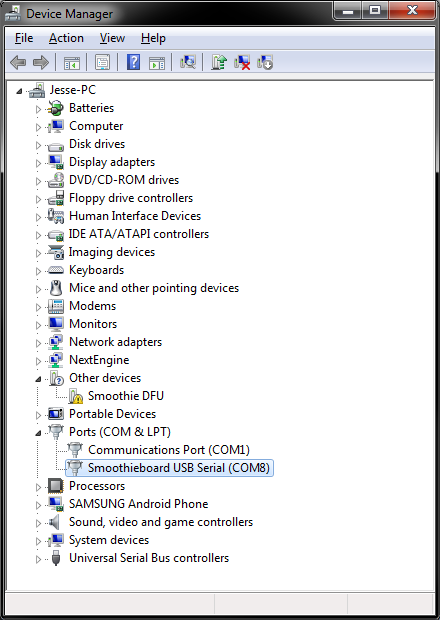 If the smoothieboard is connected to the USB, it's always on with no way to turn it off unless you remove the cable. I ended up using a USB hub with individual switches to turn off the printer without removing the cable. I understand the second regulator is not necessary, but I believe it to be a little more "robust" when it is used. Thank you for clarifying about the USB cable, though. My main goal is to be able to print entirely on the printer's own power supply, without the need for any USB cable which I believe the regulator on the Smoothie itself will accomplish.